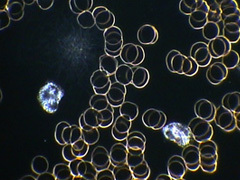 The approach of blood analysis is a great tool in the natural health world. We as humans mainly learn by what we SEE. Seeing your overall health in your blood initially and as a follow-up after making suggested changes reinforces that you are on the right path to having a happy, healthy and active lifestyle. 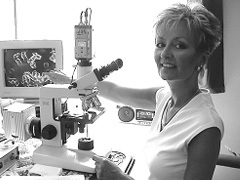 Live and Layered Blood analysis is a natural approach to reviewing your overall health. From what we see on the monitor, we make a plan of steps to improve it and a timeframe for a review of the blood to see improvements. Here at Blood-Link, all training is offered, as required by the student, one-on-one in a manner to make it a business success while helping clients improve their blood health and hence overall health. Retraining is also offered to those who found their training to be deficient in many areas such as, very little microscope time. Refresher Training is offered to those who are finding they need a better understanding of what they are seeing in their client's blood or suggestions to be made. 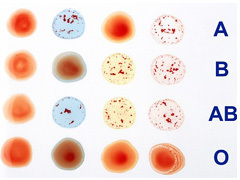 The equipment available through Blood-Link Inc. is so you can have the best quality to perform Ultra Darkfield live blood analysis, and Brightfield for the layered/dried blood analysis. You will be ready to start immediately as it comes with all optics, condensers, the camera and a converter so you can use a computer monitor to have a better picture to show your clients rather than a TV. Nutritional suggestions are made after we discuss your existing and/or new diet and we have reviewed the health of your blood. Knowing your blood type allows for a further discussion of making improved changes to your diet with the whole approach to get the body alkaline so it can fight various strains of flu, colds and other diseases. Blood Typing is now being offered by Blood-Link as quite often, this service (once free of charge) is now being charged a fee at clinics and labs in Ontario. Once we know your blood type, we can discuss "Eating Right 4 Your Blood Type". 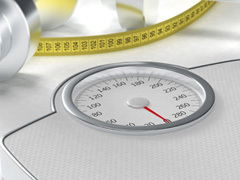 Weight Management, as taught by Blood-Link, is a unique system called The Undiet. No starving is necessary! 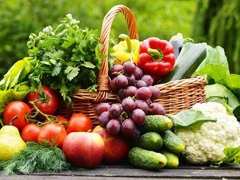 Rather, this is about making smarter food choices while helping the body become alkaline so it wants to lose weight. Vitamins, minerals, herbs and detoxes may be recommended based on what we see in your blood analysis.